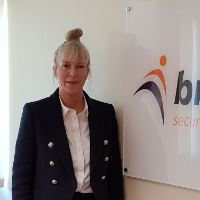 Brooknight Security is delighted to announce the appointment of Breda Smead as Operations Director. Breda brings with her a wealth of experience gained in the manned guarding and facilities sectors over the past 32 years. Before joining Brooknight Security she has garnered 28 Years experience in key security management positions. In particular, having spent seven years as Regional Director at Corps Security and prior to that 20 Years at MITIE Security – 17 of which as Head of Operations and 3 as Regional Managing Director. As Brooknight continues to grow, Breda’s appointment is key to facilitating the next exciting phase of the company’s development.